Udayan Das, who allegedly murdered his live-in partner Akanksha Sharma and buried her body in his house, was brought on transit remand. KOLKATA: Bengal serial killer Udayan Das, who allegedly murdered his 28-year-old live-in partner Akanksha Sharma and buried her body in his house, was brought here on transit remand from Bhopal and was produced before the Chief Judicial Magistrate today (Tuesday). The accused was arrested by the West Bengal police on February 2 and brought to Bankura last evening. Here’s how the proceedings of Udayan’s trial went by in Bankura. 4.30 PM: The accused was remanded to eight days police custody by the Bankura District Court. 5.30 PM: Multiple murder accused Udayan Das flown from Raipur to Kolkata. 8.00 PM: Accused taken from Kolkata to Bankura Police Station by road under police protection. 9.00 PM: Remains of Akansha reaches her home in Bankura. 10.30 PM: Udayan Das lodged in a cell in Bankura Police Station. 11.00 PM: Accused wants to eat fish and rice but due to closure of police canteen, he is fed rice, pulses and a vegetable item prepared with potatoes and soyabeans. 8.00 AM: Udayan given puffed rice and potato 'chop' as breakfast. 8.45 AM: Medical team from Bankura Medical College examines Udayan Das, deem him physically fit. 9.35 AM: Udayan shifted from Bankura Police Station to Bankura district court. Locals begin sloganeering and protests against Udayan. 10.00 AM: Udayan kept at a court prison cell. 11.00 AM: Two lawyers Arup Banerjee and Manik Biswas come forward to fight as defence attorneys for Udayan. Accused asks the lawyers to bail him out. 2.00 PM: Udayan produced in court amid stone-pelting by mob on the accused; Udayan slapped, kicked by a few protesters. 2.05 PM: Court room door closed to protect the accused from raging mob, police presence increased in court complex. confine person) already pressed against him in Bankura Police Station. 2.15 PM: Defence attorneys pray for Udayan's bail; say, no more information to be gathered from the accused, argue that Sec 201 should not be pressed as it is yet to be proved that body of Akansha was entombed to hide evidence of murder. 2.17 PM: Public prosecutor protests bail plea; says murders done in cold-blood and extensive planning and not in a fit of rage. 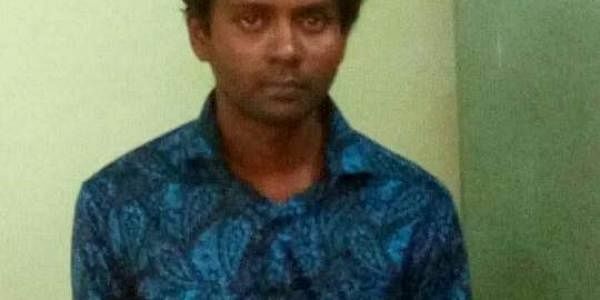 2.20 PM: Chief Judicial Magistrate (CJM) Arup Nandi grants eight-day custody of Udayan Das to police; cancels bail plea, grants addition of Sections 302, 201 in charge sheet against accused.